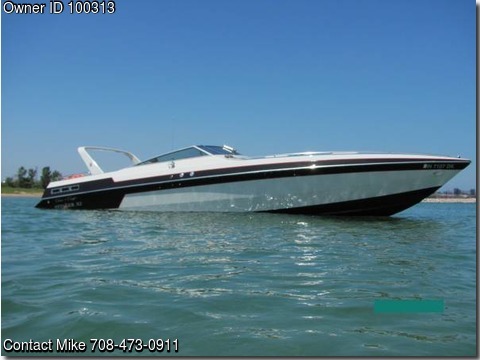 Boat is located in Schererville,Indiana.Please contact the owner @ 708-473-0911..1986 Chris-Craft Stinger 312 w/ Arc, 31.6' w/Trailer updated cabin, sink, sleeps 4. Twin 454's, Mirage Props, Great sound system. Fresh water it whole life no salt. Stored in a heated garage. Never outside or left at a slip in the water. I will split the cost of a survey if purchased. I have the survey when I purchased the boat it is excellent. look at the pictures one has all the specs.